1. The Great Wall of China – One of the new 7 wonders of the world, building the wall took over 2,000 years through 19 different dynasties. With a total length of 13,000 miles, the Great Wall runs from east to west across nearly 15 provinces. It’s like a giant dragon weaving its way through northern China, unparalleled in scale and perhaps the most recognizable symbol of China. It serves as China’s #1 attraction with over 10 million visitors each year. Emperor Qin Shi Huang is credited with conceiving the Great Wall in the third century B.C. as a means of protection from barbarian nomads. The most well-preserved section however was built in the 14th through 17th centuries A.D., during the Ming dynasty. It known today as a symbol of the enduring strength of the Chinese civilization. 2. Visit the Giant Pandas – Giant pandas are native to China and it is a great opportunity for travelers to join a panda keeper and spend some time taking care of this endangered species. Native to central-western and southwestern China, pandas are great swimmers and known for climbing trees as they are also members of the bear family. The giant pandas are recognizable by their large, black patches around the eyes, ears and their bodies and their diet is primarily composed of bamboo. 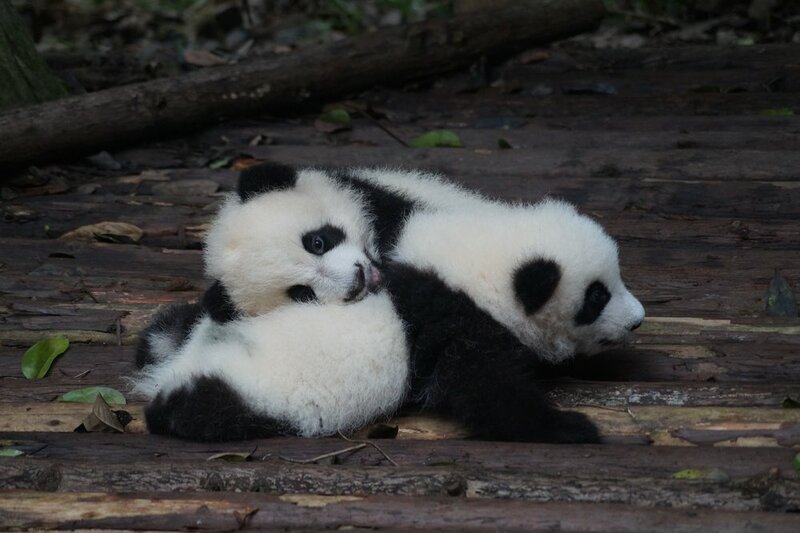 Pandas draw thousands of visitors to China as they are pretty cute, they tend to live in places with beautiful scenery, and are very rare animals as only a small number now live in the wild. 3. Terracotta Army in Xi’an – The terracotta army is the vast mausoleum of the first emperor of China from the Qin Dynasty and his army was buried underground for over 2,000 years. It was first discovered in 1974 when a local farmer was digging a well. In 1987, this became a UNESCO World Heritage site. The terracotta army is of importance because it represented the power of the military force of the Qin at that time and was also the reason for a united China. Visiting and viewing the army guarding Emperor Qin Shi Huang’s burial site is an impressive site not to be missed and the exhibition hall will show you the scale of the ancient military army of the Qin Dynasty. No doubt, it is one of the greatest archaeological sites in the world. 4. Li River – Known as one of the “World’s Top Ten Watery Wonders” by National Geographic, Li river has a unique karst landscape, worth visiting. Many visitors come here to escape the hustle and bustle of the big city. Li river winds its way from Guilin to Yangshuo and along the 83- kilometer-long waterway, Karst mountains, ancient villages and the lush countryside will be your regular companions. The Yellow Cloth Shoal is the highlight of this river where the water reflects the surrounding ‘Seven Fairy Maidens Descending to the World’ peaks. There are two ways to cruise the river: either on a bamboo raft or a boat cruise and both are perfect to take in the scenery along the riverside. 5. Yunnan Province – China has approximately 56 ethnic minority groups who have their own diverse life styles, languages and customs. Southwestern Yunnan Province has around 25 minorities and is the province with the largest number of minority ethnic groups In China and hence is a great region to visit if you want the opportunity to experience and understand their culture. Yunnan province is home to the Naxi, Bai, Lisu and others and is also well-known for its spectacular scenery. 6. Chinese Food – China has many regions with different types of local dishes. The staple food includes rice, noodles, steamed buns, vegetable and meat dishes. Fresh vegetables like water chestnuts, mushrooms, bamboo and tofu are popular. In the north, wheat based dishes such as noodles and steamed buns dominate while in the south, rice is a favorite. The Chinese observe different menus depending on the season. Winters often call for a thicker, rich flavor while summer will have more light and cool flavors. There are many different regions in China and each region has its own food flavors. The most prominent regional cuisines in China are Anhui, Cantonese, Fujian, Hunan, Jiangsu, Shandong, Szechuan, and Zhejiang. 7. The Forbidden City - The Forbidden City was the imperial palace of the Ming and Qing Dynasties for 560 years. 24 emperors have lived here and it is recognized as one of the five most important palaces in the world. Once a palace city where ordinary people were forbidden entry, it is a micro-city that is composed of more than 90 palace compounds including 98 buildings and surrounded by a moat as wide as 52 meters. It has over 8,000 rooms with golden roofs that are elegantly designed and painted in red and yellow. The Forbidden City served as the political and ritual center for China for over 500 years and today remains one of the most important cultural heritage sites, with an average of over 80,000 visitors per day. 8. The Bund – The Bund is located in Shanghai and is a popular waterfront promenade that is lined with colonial-era buildings. Approximately a mile-long, there are about 52 buildings of various architectural styles including gothic, baroque, and neoclassical styles. Walk along the bund to truly appreciate the promenade. 9. West Lake in Hangzhou – Marco Polo called Hangzhou the most enchanting city in the world. This can be seen especially in the West Lake area which effectively is the center of Hangzhou. The lake itself is surrounded by hills on three sides and a 1.6 mile causeway is lined with weeping willow, hibiscus, and magnolia trees. It is interconnected by six stone bridges and you will often find many people go for a walk along the causeway. 10. The Summer Palace – Beijing is home to the Summer Palace which was first built in 1750, then destroyed in the 1860 war and restored to its original foundations in 1886. The palace is known for its Chinese landscape garden design which includes hills, open water combined with features such as pavilions, halls, palaces, temples and bridges. The palace is now a public park since 1924.